Plan your facility’s cleaning schedule and services. Book a consultation at your site and receive a free estimate. We clear your areas of debris and clean your spaces as good as new. Trust us to get the job done. Get on the cutting-edge of innovation with Unger Pure Water HydroPower systems. We’re best at cleaning residential and commercial glass. Over time, water, pollution, dust, and dirt can leave the windows of your home or business looking drab. 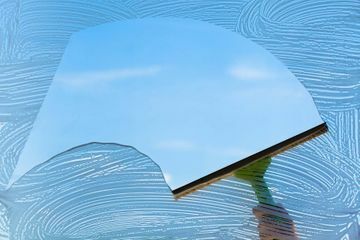 Get the crystal-clear look you’ve been craving with professional window cleaning in the Niagara Region by the experts at Barbas Industries. With many years of experience in serving St. Catharines, Niagara Falls, Fort Erie, Port Colborne, Welland, Stoney Creek, Hamilton, Grimsby, Beamsville and the surrounding areas, we have provided residential, industrial and commercial clients throughout the Niagara Region with prompt, courteous and efficient cleaning services that leave windows looking spotless. We also offer post-construction cleanup. Niagara Janitorial and Cleaning Services offered by us here at Barbas Industries. Cleaning for Niagara region and st.catharines area. We are your #1 Choice for Commercial and Residential Cleaning services located in St.Catharines, Ontario. Don’t let your home or business look shabby. Ensure a spotless shine for your Niagara Home or Office. We offer Cleaning to all areas of Hamilton and Niagara. Focus on your problem areas and request your preferred services. Cleaning Services in Niagara Region including St.Catharines, Ont. Get on the cutting-edge of innovation with Unger Pure Water HydroPower systems. 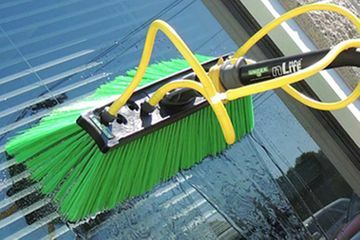 Window Cleaning Niagara Region / St.Catharines Window Cleaning Services is What We do. With keen attention to detail, we’ll get your windows looking their best. Our advanced pressure and hand washing techniques ensure that we’ll rid your windows of dirt and grime that has accumulated over the years, leaving them with a sparkling finish. What’s more, all of the products we use in the deployment of our services are eco-friendly and pet safe. High Rise Window cleaning in Niagara / Hamilton and Toronto Areas. Your #1 Choice for Commercial Window Cleaning. Do you need basic cleaning for a quiet office or a daily janitor for a busy food service? We’ll help you select the daily, weekly, biweekly or monthly cleaning program that best maintains your particular environment. We also work with you in choosing the most convenient day and time so your daily operations keep running smoothly. Niagara Janitorial Services - St.Catharines / Hamilton Window Cleaning is what we do. needs. We specialize in window cleaning, eaves trough cleaning, deck/siding power washing, and much more, just ask. Niagara Exterior Cleaning is what we do. If the addition you built onto your home has left every inch of your property covered in dust, we can help. Barbas Industries offers post-construction cleaning services to ensure no building materials, dust or other debris is left behind. We can clean every room of your home from top to bottom. Niagara Post-Construction Cleaning. Check out our Facebook page for our latest promotions. Get in touch with us today using the contact form provided to book a free estimate or to schedule weekly, bi-weekly, and monthly window cleaning. We offer fair, competitive rates in St. Catharines and the surrounding areas. Our glass restoration experts at Barbas Industries are eager to serve you.